Cataract is the removal of lens inside the eye that has become cloudy due to reasons like aging of injury. 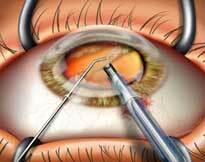 Cataract Surgery needs to be performed under a trained, experienced surgeon. Indian Healthguru Consultants is a medical value provider in India offering excellent eye care facilities at affordable prices under the best cataract surgeons at the best cataract surgery hospitals in India. Fundamentals: Indian Healthguru helps in arrangement of medical visa, to and fro airport service, accommodation, meals, appointment with surgeon, lab tests etc. Skilled surgeons: Indian Healthguru has network of the best surgeons and hospitals, providing supreme healthcare in India. Budget-friendly: What is the average cost of cataract surgery in India? The expenses incurred in the entire travel for cataract surgery in India are nearly 30% of that in most Western countries. I am Okeke from Nigeria. I had been facing problem of blurred vision since last 2 years. I needed Extracapsular cataract surgery which was not available even with the best doctors in Nigeria, so I took help of internet to find doctors that abroad that suited my budget. I found the Indian Healthguru’s website and told them about my condition. After a thorough procedure, I was invited for surgery in India. The hospital and doctors were beyond expectations and my treatment is a huge success. I sincerely thank Tour2India4Health for being a great help in my greatest need. Cataract surgery is the removal of the lens inside the eye after it has become cloudy due to aging, an eye injury or other causes. In most cases, the cataract surgeon replaces the cloudy natural lens with an artificial lens implant (also called an intraocular lens, or IOL) to restore vision and eliminate the need for thick glasses after surgery. Cataract surgery is one of the most frequently performed surgical procedures in the world. According to Bausch & Lomb, a leading American eye care company, more than three million cataract surgeries are performed in the U.S. every year, and more than 50 percent of Americans over age 65 have cataracts in one or both eyes. A nuclear cataract, which is located in the center of the lens, the nucleus is most commonly seen as it forms. It is said that the cause of this cataract is due to changes in the protein structure as we age. A cortical cataract starts of on the outside of the lens and slowly extends to the center. This cataract is common for people with diabetics. A sub capsular cataract begins at the back of the lens. People who have a higher risk of developing this form of cataract are: people with diabetes, high farsightedness, retinitis pigmentosa or those taking high doses of steroids. The success rate of cataracts surgery with today's advanced methods and ultra-modern equipment is 95%. And, the risk of becoming blind with surgery for cataracts removal is extremely low. For those few patients where surgery does not result in improved vision, there is usually a different underlying ocular condition such as age related macular degeneration (ARMD) or diabetic retinopathy. As a natural age process which is called age related cataracts or senile cataracts. It usually started at the age of 40 and gradually the opacity of the lens will increase to be clinically significant and reduce the vision. It is one of the most common of cataracts causes. Systemic diseases like diabetes mellitus, hypertension. Hyperlipidemia and other diseases which will cause cataract in younger age or accelerate its course to be clinically significant. Due to intra-ocular diseases like glaucoma, uveitis, retinal diseases or tumors. Sometimes it can occur after eye surgeries like retinal surgeries, glaucoma surgeries and even laser surgeries. Nutritional causes in which it can be caused by alcohol consumption which is called alcoholism cataract, smoking or malnutrition with low levels of certain factors called antioxidants like vitamin C, vitamin E and carotenoids. Genetics. In which it can run in families especially especial type of cataract called blue-dots cataract. The best cataract surgery hospitals in India have state of the art technology to be operated with the best cataract surgeons in India. Our network of hospitals uses of latest technology to provide excellent eye care to the patients and deliver safe and accurate results. The hospitals are located in Delhi, Pune, Hyderabad, Kochi, Goa, Chennai, Mumbai, Bangalore, Nagpur, Ahmedabad, Gurgaon, Noida, Jaipur, Chandigarh, Kerala, etc. By doing a comprehensive eye examination, an ophthalmologist can diagnose a cataract and monitor its development. Visual acuity test: This is an eye chart test where the will ask the patient to read a letter chart to see how sharp your sight is at various distances. Pupil dilation: In this test, the pupil (the round black centre of your eye) is widened with eye drops to allow the ophthalmologist to see more of the lens and retina and look for other eye problems. To detect and assess vision loss associated with cataracts, your eye doctor may use a special test called a contrast sensitivity test, and may conduct the test with and without a glare source. How to Prepare for Cataract Surgery? Medical problems, conditions or operations you have or have had. Problems with lying down, breathing difficulties and about your blood pressure. You will be asked to sign a consent form before the procedure. This will confirm the risks, the benefits of surgery and possible alternatives to the procedure. By signing you are giving your permission for the surgery to go ahead. What are the Types of Cataract Surgery Procedure? Phacoemulsification: The most preferred method out of the four, this type of surgery involves usage of machine with an ultrasonic hand piece, equipped with a titanium or steel tip. With an ultrasonic frequency of 40,000 Hz, the titanium or steel tip starts vibrating, in turn blending the lens material. At times, a second fine instrument, called a cracker or chopper, might also be used. It is brought in use from a side port, in order to enable the cracking or chopping of the nucleus, turning them into smaller pieces. This in turn, helps in making the process of emulsification easier and also the aspiration of cortical material. Once the phacoemulsification of the lens nucleus and cortical material is done, a dual irrigation-aspiration (I-A) probe or a bimanual I-A system is used. This is mainly done to aspirate out the remaining peripheral cortical material. Extracapsular Cataract Surgery (ECCE): If the cataract of the patient has reached a stage, where it cannot be removed with Phacoemulsification, then Extracapsular cataract surgery is conducted. 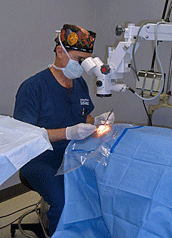 The process involves manual expression of the lens through 10 to 12 mm incision made in the cornea or sclera. The procedure requires large incision and usage of stitches. Microincision cataract surgery involves a technique by which a cataract can be reached through an incision of 1.5 millimeters or less. Intracapsular Cataract Extraction (ICCE): The process of Intracapsular Cataract Extraction (ICCE) entails the removal of the lens and the surrounding lens capsule in one piece. There is a high rate of complication in the process and it requires application of pressure on the vitreous body. After lens removal, an artificial plastic lens is either placed in the anterior chamber or sutured into the sulcus. Too much complication is the only reason for the rare popularity of this method. ICCE is only performed in countries where operating microscopes and high-technology equipment are readily available. The process of Intracapsular Cataract Extraction (ICCE) entails the removal of the lens and the surrounding lens capsule in one piece. There is a high rate of complication in the process and it requires application of pressure on the vitreous body. After lens removal, an artificial plastic lens is either placed in the anterior chamber or sutured into the sulcus. Too much complication is the only reason for the rare popularity of this method. ICCE is only performed in countries where operating microscopes and high-technology equipment are readily available. What are the Types of Lenses Implanted Post Cataract Surgery? There are a variety of intraocular lens styles available for implantation, including monofocal, toric, and multifocal intraocular lenses. Monofocal lens: These lenses are the most commonly implanted lenses today. They have equal power in all regions of the lens and can provide high-quality distance vision, usually with only a light pair of spectacles. Toric lens: Toric lenses have more power in one specific region in the lens to correct astigmatism as well as distance vision for many individuals. Multifocal lens: Multifocal intraocular lenses are one of the latest advancements in lens technology. These lenses have a variety of regions with different power that allows some individuals to see at a variety of distances, including distance, intermediate, and near. While promising, multifocal lenses are not for everyone. They can cause significantly more glare than monofocal or toric lenses. How is the Recovery after Cataract Surgery? Depending on the type of surgery and the specific situation, complete postoperative recovery ranges requires approximately 1 month. At the end of this time, a final refraction for glasses will be done. The eye may continue to heal even past this time, making small refinements in glasses occasionally necessary. Normal daily activities may be resumed within a day or so following surgery. Heavy or strenuous physical activity should be avoided for the first several weeks; this includes extreme bending or lifting of more than 20 pounds. For the first few days after surgery, patients should avoid touching or rubbing the eye. Sunglasses are helpful for bright days. A white patch is worn only for the first 24 hours after the operation. Eye drops will be prescribed post-operatively. These medications are intended to lessen inflammation, prevent infection, aid comfort, and promote normal healing. Improved Color Vision: Once the cataract is removed, colors are no longer tinged by its effect. Colors will be much more vivid and vibrant after surgery. Improved Clarity of Vision: Visual acuity is usually improved. Reading and watching television can be enjoyed thanks to sharper, clearer vision. Increased Independence: Following cataract surgery, many patients eyesight is improved to the point that they can regain their driver's license. Improved Quality of Life: Improved vision leads to renewed interest and participation in the fun things in life. Hobbies, work, and enjoying the company of friends comes easier when vision is improved. Reduced Dependence upon Corrective Eyewear: The lens implant used during cataract surgery may be able to compensate for pre-existing focusing problems such as nearsightedness or farsightedness. There are risks associated with every surgery but still the rate of occurrence of complications after cataract surgery is very low and patient recovers from these complications after certain period of time. The most common complication arising after surgery are persistent inflammation, changes in eye pressure, infection, or swelling of the retina at the back of the eye. What is the Alternative of Cataract Surgery? 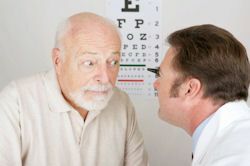 Latest research in eye medical field has discovered an alternative solution to cataract surgery. Instead of going for surgery, there are now easy-to-use cataract eye drops formulas that can dissolve the cataracts naturally. This eye drops formula contains N-acetyl-carnosine (NAC) – which researchers have found out that this ingredient can be used to act as an antioxidant that can enter the lens tissue when prepared at an effective concentration. I used to feel like my vision is getting blurry or foggy but always shrugged it off thinking that it might be dust or other particles getting in the eyes until recently. I began to feel really uncomfortable and it started hampering my work life. I was unable to give presentations and there were delays in projects because I started having issues with my vision. I visited the eye specialists at the Indian Health Guru regarding my condition and they suggested me to get through the surgical procedure as Cataract Surgery. It has been a week and I am already feeling better. Why Consider Cataract Surgery in India? Recently in India the rise has seen in cataract surgery because the costs have dropped drastically, making world class treatments affordable for everyone and patient also get to enjoy a free holiday as well! If a patient has always wanted a cataract surgery or any other procedure, he can now afford it, as eye surgery costs have tumbled in India. Cataract surgery costs are combined with holidays and this is one of the fastest areas of growth in medical tourism, making Low Cost Cataract Surgery in India as one of the top choice amongst international patients. Indian ophthalmologists and eye surgeons offer you custom made solutions for all your eye care problems. From corrective eye disorders to diabetic retinopathy glaucoma, cornea and refractive surgery to low-stress cataract surgery, India offers a wide range of eye surgery. The eye surgery techniques have now become so advanced that the cataract surgery can be done in a day. What is Cataract Surgery Cost in India? India is the most sought destination for medical treatment when it comes to low cost. The cost of Cataract surgery in India falls anywhere between Rs 8000 to Rs 15000 however, prices may get higher depending on the city and the hospital one chooses to get the surgery done. 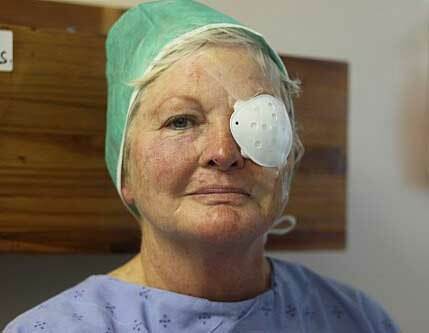 Cataract surgery in India is available at a low cost to international patients. Why Contact Indian Healthguru Group for Cataract Surgery in India? Indian Healthguru Group provides comprehensive medical services to international patients for Cataract surgery in India at low cost. Patient just has to send a detailed query about the cataract surgery and his/her conditions and soon he/she will be contacted by and Indian Healthguru Group assistant. That assistant will answer you query in detail and guide you with the rest of the procedures to get the surgery done in India. How to access Low Cost Cataract Surgery in India? Indian Healthguru Consultants is a premier healthcare tourism in India providing access to almost all kinds of medical treatments. Send us your medical report and we will find the most suitable low cost cataract treatment in India. Is Cataract Surgery in India cost effective? The cost of cataract surgery in India is nearly 25% of that incurred in most Western countries. Another point to be considered is the best in class medical care and state-of-art facilities. Which advanced technique used for Cataract Surgery in India? There are several procedure for Cataract surgery, but the most preferred one is Phacoemulsification, which involves use of machine with an ultrasonic hand piece, equipped with a titanium or steel tip. Visit our website for more information on the procedure. Is low cost cataract surgery in India successful to reduce barriers to Cataract Surgery? Cataract surgery in India is extremely successful and the experts are extensively skilled. As a matter of fact the low cost of Cataract surgery is just and advantage of receiving treatment in India.